Magician Dave J. 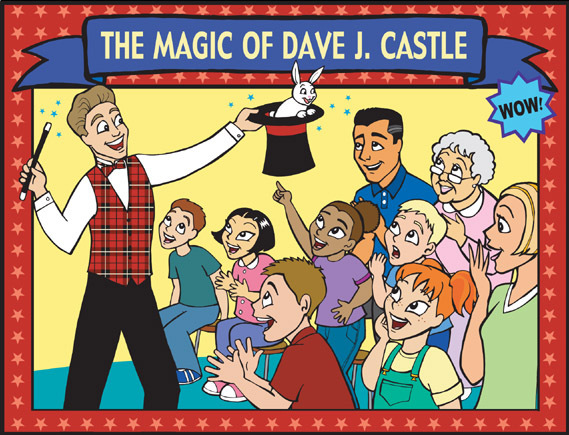 Castle, Ph.D. "The Award Winning Magician"
Hello, my name is Magician Dave J. Castle and I specialize in customized magic shows for the family audience. I perform several engagements each month and personally service select areas located in the Metropolitan Detroit area. Since 1997, I have had the opportunity to help make hundreds of special events memorable in Michigan. These events have included: private birthday parties, television appearances, school assemblies, fundraisers, blue and gold banquets, corporate events as well as many other public and private engagements throughout Michigan. My clients are very satisfied and often book repeat engagements. They also proudly refer my services to their friends. Some of my satisfied clients are: Detroit Golf Club, WXYZ/Detroit Channel 7 News, Lifetime Fitness, Sears, Michigan Association of Realtors, Pulte Homes, Metro Parent Magazine, Macomb Literacy Partners, Clinton-Macomb Public Library, Lakeside Mall, The American Legion, Valeo, Wally Edgar Chevrolet, SMZ Advertising, Soil and Materials Engineers, University of Michigan, KinderCare, Childtime Learning Centers, Bloomfield Hills School District, Macomb Community College, Kettering University, Walsh College, Family Service & Learning Center, and the Hundreds of Parents who have had me make their child's birthday party memorable. 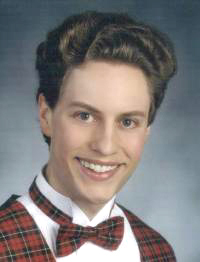 I look forward to making your Michigan event memorable. Dave J. Castle, Ph.D. Michigan's BEST Magician The Magic of Dave J. Castle, LLC. "You did a great job entertaining the children. My daughter really enjoyed your show." Copyright 2002-2014. The Magic of Dave J. Castle, LLC. All Rights Reserved.